A view of the natural harbour in Portnahaven, a variety of small boats moored here. The Rhinns of Islay lighthouse on Orsay in the background. 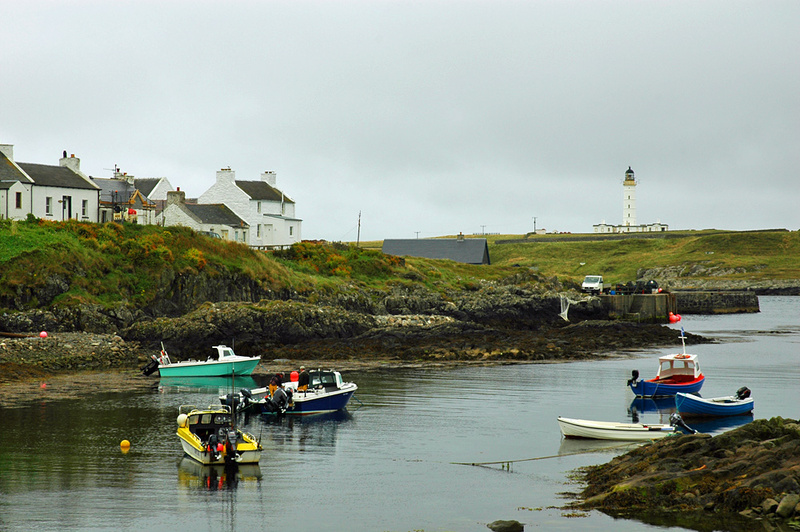 This entry was posted in Cloudy Weather, Landscape, Lighthouses, Repost, Village and tagged Fishing Boat, Islay, Orsay, Portnahaven, Rhinns of Islay by Armin Grewe. Bookmark the permalink. calmest weather to visit and when is the most turbulent weather to visit? The calmest weather is usually in the spring and summer. The storms usually hit in the autumn and winter.